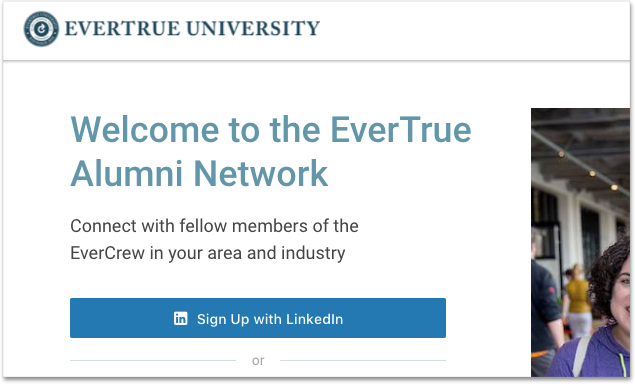 In EverTrue's Admin site, you can control the Account setup for your Alumni Community products. Just log into Console, select either the Setup or Design tab in the left navigation, and follow the prompts to enter the Admin site. From there you can work your way through the Account and Design sections. Organization's Primary Website - This can be your Alumni office website or your organization's primary website. What do you call your constituents? - Many institutions have specific terminology for their constituents. Some examples are "Alumnae," "Tigers," or "Blues". This is used inside of the product when referring to your constituents. Header Text - This is the header that constituents will see when logging into your web Community. It functions as a welcome statement for your alums. We recommend that you use 50 characters or less (including spaces). Description Text - A sub-text area for a description of the web Community. Maximum 100 characters (including spaces). Contact Link - The contact link is useful for your constituents if they have any questions or problems getting into your Community. You can link out to a website or an email address. Homepage URL - This is a non-editable URL for gaining access to your web Community. App Name - The name of your app, reflected in the app store. Maximum 30 characters. App Icon Label - The name of the app listed beneath the app icon on the homepage of a mobile device. Maximum 10 characters. 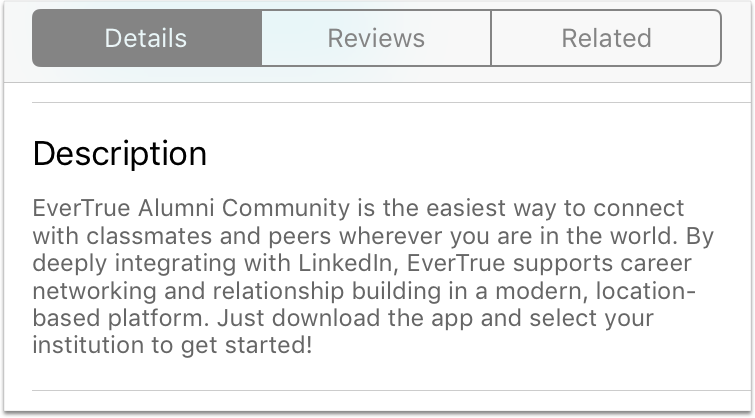 App Store Description - The description of the app listed in the app store underneath the App Name. App Store Search Keywords - Search terms that will allow users to find your app in the app store. Limit of 10 words. After completing this section, head over to the Design section to customize the images and logos for your Community.